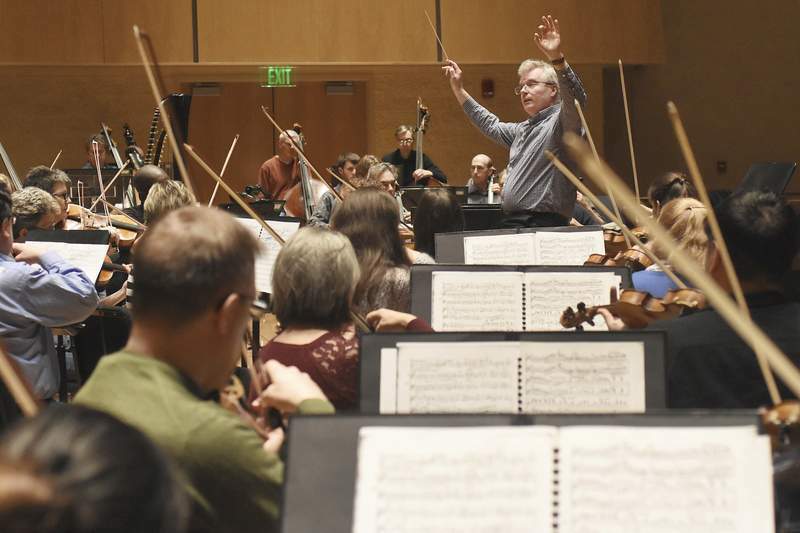 Photos by Rachel Von | The Journal Gazette The Fort Wayne Philharmonic, conducted by Andrew Constantine, will be recording an album that includes the works of little-known composer Walter Bricht this weekend. Andrew Constantine talks to the group during the Philharmonic rehearsal at Auer Performance Hall for their recording concert this weekend. Rachel Von | The Journal Gazette Andrew Constantine conducts the group during the Philharmonic rehearsal at the Auer Performance Hall for their recording concert this weekend. Rachel Von | The Journal Gazette Andrew Constantine talks with the group during the Philharmonic rehearsal at the Auer Performance Hall for their recording concert this weekend. The Fort Wayne Philharmonic's recording "Walter Bricht: Orchestral Music, Volume One" will be released on Sept. 7. To pre-order go to amazon.com or itunes and search for the title. If you're headed to the Fort Wayne Philharmonic's free concert this weekend, make sure you have your cellphone turned off. 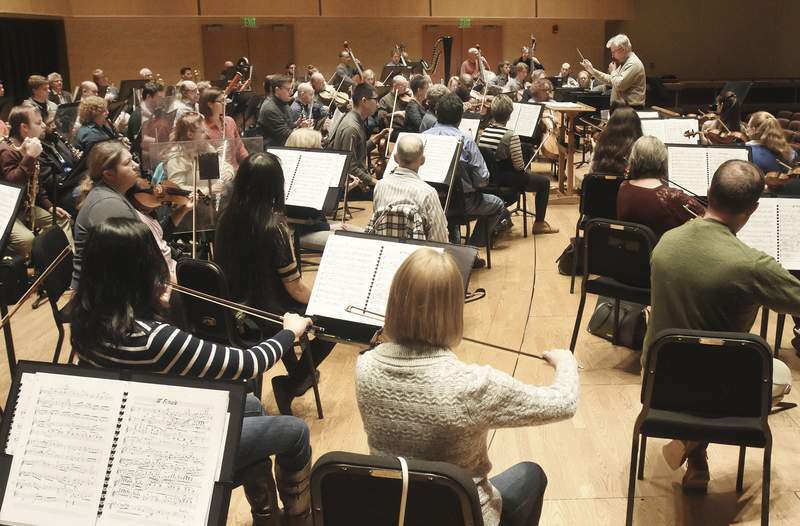 That probably seems like common sense for a concert, but it is extra important not to have audible interruptions as the orchestra performs for its first commercial recording at IPFW's Auer Performance Hall on Sunday. 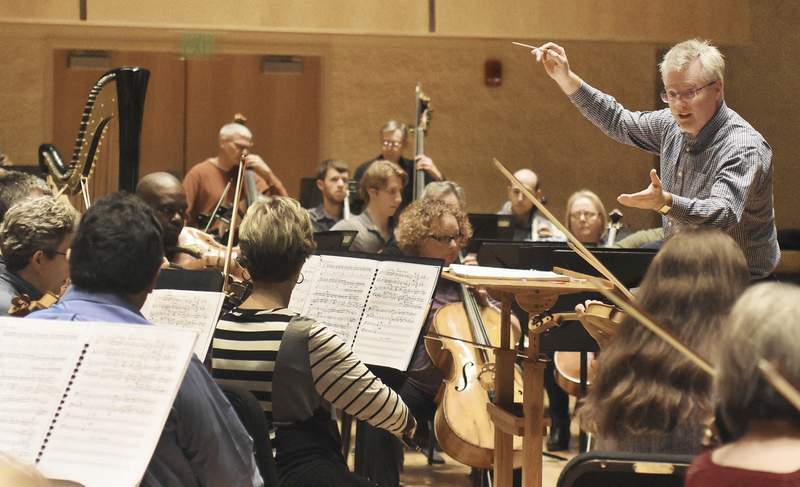 The Philharmonic will perform three works by Austrian-born composer Walter Bricht. If you aren't familiar with the name, you aren't alone. The Philharmonic's music director, Andrew Constantine, had not heard of Bricht when he was approached by British recording label Toccata Classics about the project. Toccata specializes in lesser-known composers like Bricht. “I did a bit of research and was intrigued by it,” Constantine says. Bricht was born in Vienna in 1904 and began composing music at age 12. He had a career in Austria and Germany in the 1930s, which is when he wrote the pieces that the Philharmonic will perform. Some of the renowned orchestras of Europe were scheduled to perform his work until the Nazi regime discovered he had Jewish-born grandparents. Bricht was not Jewish himself, and Adolf Hitler offered him “honorary Aryan status” if he swore allegiance to the Nazi party. He instead chose to emigrate to the United States where he arrived not speaking any English. He worked in several U.S. cities before joining the faculty at Indiana University's school of music in 1963. He composed music there until his death in 1970. 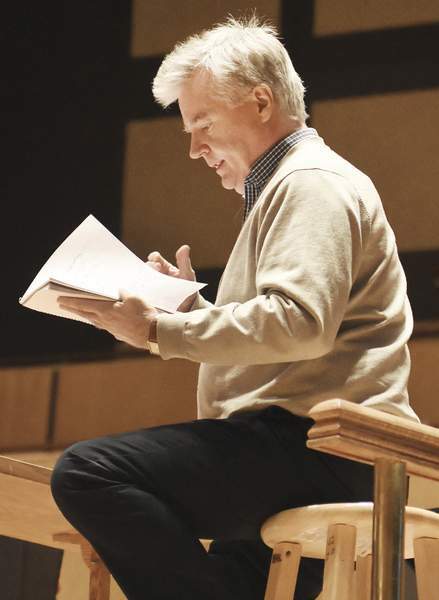 Constantine hopes this recording is the first of many that will expand the reach of the Philharmonic, which begins its 75th season in October. 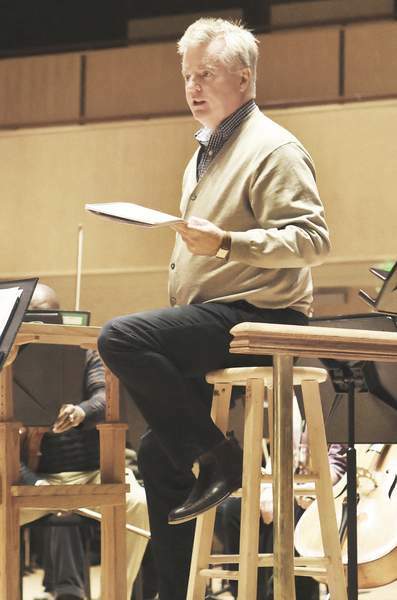 “I was very excited at the prospect of putting a project together to take the Fort Wayne Philharmonic to a more international audience,” he says. The recording session is the culmination of 10 months of work, which Constantine says has required “a lot of deciphering” of Bricht's handwritten music. Parts couldn't be found for one of the pieces, so the full orchestral score was put into a computer program to create parts. The music director says the process of examining the old music has been entertaining because sometimes it has been a real challenge to figure out what Bricht meant. “There's a lot of Sherlock Holmes-type work going on,” Constantine says with a laugh. The audience at Sunday's recording might notice additional equipment, and some of the movements will be repeated to make sure the best versions are available for the final album. A short “patch session” will take place after the audience leaves to cover anything that the team isn't happy with. The recording will be produced by Tim Handley, who has won eight Grammys, including one this year for best contemporary classical composition. A date for the recording's release will be scheduled later. The community is encouraged to come out for the concert and hear music that hasn't been performed in many years. “We're looking for people with enthusiasm to tap into their support for the Philharmonic so we have a vibrant, encouraging audience to create an ambiance that will help us onstage to really give our best to this project,” Constantine says.